Planet Earth is an amazing place, to say the least. And even though we’ve been living on its surface our entire life, there are still a lot of things we don’t know about it. Many things that we do know are awe-inspiring. What’s even more interesting about some of these is the fact that they have wide-scale implications on everything around them. But why try to be so mysterious, if we can give you 10 such examples, right? We all know the Earth is big, there’s no denying it. But when it really comes down to it, we have a hard time coming to grips with its actual dimensions. So, in order to make things more relatable, let’s take a look at mountains. Those of us who have been fortunate enough to see or even climb Mount Everest can attest to the fact that it’s incredibly huge and incredibly humbling. But most people don’t even need to see any of the tallest mountains in the world to know that mountains are big. Now, let’s take our mental image of mountains as points of reference when we talk about the dimensions of the Earth. We know that the average diameter of the planet is of about 7,900 miles. 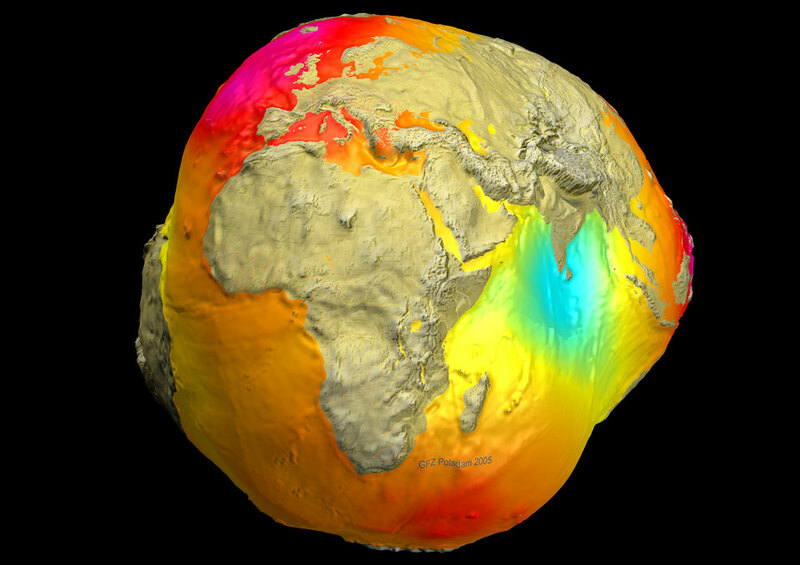 It’s important to note here that Earth is not a perfect sphere, but rather an oblate spheroid. This means that, because it’s spinning on its axis, the diameter at the equator is bigger than the distance between the poles by about 27 miles. And beside these differences, the planet also has some bumps and dents, but they’re much smaller than 27 miles. With this information in mind, if we were to scale the planet down to the size of an average cue ball, we would come to an incredible realization. According to the World Pool-Billiard Association (WPA) Tournament Table and Equipment Specifications, every new ball should measure 2.25 inches in diameter and only have imperfections that cannot exceed 0.005 inches. By making the proper calculations here, it turns out that the biggest “imperfection” on Earth can be 17 miles and fall within WPA standards. While Mount Everest is almost 5.5 miles tall, and the Mariana trench is 6.8 miles deep, if they were taken together, side by side, the sum is still below the 17 mile margin. The same thing applies to the difference in diameter between the poles and the equator. Each half of the planet is responsible for its 13.5 mile share out of the total 27, which again is below 17 miles. So, anyone who has ever held a brand new cue ball in their hand and is not amazed by the fact that the Earth is even smoother than that? Well, he or she seriously needs to revise their sense of wonder about the world. If you liked the previous example, you’ll like this one too. The planet’s crust is the only place in the whole seemingly infinite universe that we call home; at least for the time being. And it’s not even the whole crust, per se, just the surface. The deepest humans have ever managed to go was to a depth of 7.5 miles with the Kola Superdeep Borehole in Russia. Temperatures reached well above 356 °F, so it was only the drilling equipment and measuring apparatus that made it down there, while the scientists stayed safely on the surface. The actual thickness of the crust, like its temperature, varies from one place to the other. While the average thickness is of about 9.3 miles, it can reach a maximum of 55 miles under the Himalayas and just about 3.7 miles under the oceans. Now, by knowing the planet’s diameter to be 7,900 miles, if we were to scale it down again, but this time to the size of a basketball, the Earth’s crust would be the thickness of a postage stamp; a postage stamp floating on a ball of molten rock and metal. Yes, this is true. So, the next time you hear someone comparing the planet’s crust to that of a chicken egg shell, know that information to be false. The planet’s crust is far thinner than that. If Earth was the size of an actual egg, the crust would probably be even thinner than the thickness of human skin that peels off after a sunburn. Yuck! And since the crust is also broken up into pieces that we call tectonic plates, it’s now easier to understand how and why continents move around so much. So, now that you know these two pieces of information about the crust and the actual size of the Earth, how do you think we fare in size here on Earth by comparison to bacteria on an actual billiard ball? With the previous two entries on this list, would it really come as a surprise to anyone that Earth might just have an actual heartbeat? Well, yeah, it would, and this isn’t actually true, but the planet does have something closely resembling one. Every moment of every day, Earth is going through roughly 2,000 thunderstorms everywhere on its surface. And these thunderstorms produce roughly 50 lightning strikes every second. And in turn, each of these lightning strikes produces a series of electromagnetic waves that are captured and then bounce between the planet’s surface and the lower ionosphere, some 60 miles up. If the wavelength is just right, then some of these waves combine and increase in strength, creating a repeating atmospheric “heartbeat”, a phenomenon known in science as the Schumann resonance. This phenomenon has been known for a while now, but in 2011 researchers came to realize that this resonance isn’t just confined to the planet’s atmosphere, since some of the waves actually extend more than 500 miles into space. It’s no real mystery that Earth hasn’t always looked like it does today. In fact, our planet is in constant change even at the current moment, and for the better part of its existence, the conditions on the surface have almost always been different than they are now. So, with this in mind, let’s talk about oxygen and how it got here. Oxygen only became predominant in the atmosphere roughly 2.3 billion years ago, during an incident called the Great Oxygenation Event. Before this time, oxygen levels were marginal at best, making up just around 0.02% of all the gases in the air. But during the GOE, it reached levels of above 21%. This big rise is thanks to a tiny organism that is still alive today – the Cyanobacteria, or more commonly known as the blue-green algae. These organisms are not algae, as their common name might suggest, but unicellular bacteria that can manufacture their own food. They live in water, form huge colonies, and use photosynthesis to turn the sun’s rays directly into energy. A byproduct of photosynthesis, as some of us know, is oxygen. Over billions of years, these tiny creatures inhabited the world’s oceans, releasing more and more oxygen as they multiplied and spread. It’s safe to say that we owe thanks to these Cyanobacteria for our very existence and the world we live in today. It is, however, important to note that this new change in the planet’s chemistry did not go as smoothly as some might think. For starters, oxygen was toxic for all other living creatures on the planet at that time and nearly drove all previous anaerobic life into extinction. Secondly, the growing amount of oxygen in the air reacted with the already existing methane, which was in abundance at the time, creating CO2. And since methane is 25 to 30 times more potent as a greenhouse gas than CO2, Earth went through a severe cold spell that lasted for 300 million years and almost drove even the “mighty” Cyanobacteria into extinction. Lastly, the higher levels of oxygen triggered an explosion, so to speak, in the number of minerals on the surface of the planet – minerals that otherwise would not have existed if it weren’t for the blue-green algae. More than 2,500 of the total 4,500 minerals now common on Earth appeared during the Great Oxygenation Event. So, the next time you think of humans as being the only species capable of changing the planet beyond recognition and having the capacity to drive life, including itself, into extinction… think again. For all the credit we can give our men and women of science when it comes to all the discoveries they’ve made over the years, we still have to take into account the fact that we know surprisingly little when it comes to life and how it came into being in the first place. Up until fairly recently, we believed we knew with a relatively high degree of certainty when life first appeared on Earth, and we had our presumptions on how it happened. But it seems that this theory has now changed. According to a recent study, we can now move the appearance of life back by another 300 million years, bringing it quite close to the moment when the planet actually formed some 4.5 billion years ago. If the research is confirmed, then it would seem that life formed 4.1 billion years ago, from a primordial disk of dust and gas surrounding the Sun just before the Earth started forming. The researchers came to this conclusion after observing tiny specks of graphite trapped inside zircon crystals. This graphite is usually associated with signs of life. Another theory that can account for its existence in the crystals is a massive meteor impact. But given the amount needed to explain these findings, it makes the meteor theory highly unlikely, though not entirely dismissible. If proven true, however, and life is as old as this new evidence suggests, then it would seem it’s even older than the Moon itself. “With the right ingredients, life seems to form very quickly,” said Mark Harrison, a professor of geochemistry at UCLA and member in this study. Ever thought about how the Moon was formed? Probably because it’s visible up in the sky almost every other night, people have grown accustomed to seeing it and don’t give it a second thought. But the Moon’s history, and especially its birth, are amazing and terrifying, to say the least. Back in the early days of the solar system, and soon after our planet began to take shape, fate would place young Earth on a direct collision course with another planet we now call Theia. Now, even though it’s hard to know for certain if this actually happened, there are strong indications that it did. According to the calculations, this sister planet of ours was roughly the size of Mars (or slightly smaller), and because of the still unpredictable and chaotic nature of the solar system at the time, it was flung in the direction of Earth. In the aftermath of the collision, two things happened. The two planets merged to form this one we are all standing on right now. And secondly, much of the debris that was flung into space came together and formed the Moon. Now, as we said before, this collision theory is not certain. But the relatively large size of the Moon as compared to the Earth points to this hypostasis. So do the rocks brought back during the Apollo missions, which are virtually indistinguishable from those here on Earth when it comes to their oxygen isotopes. This theory can also explain our planet’s unusually large core as compared to all the other rocky worlds in the solar system. No, this has nothing to do with any voting or elections – it’s about the Earth’s magnetic field. Thanks in part to our planet’s larger-than-usual molten core and its relatively fast spin on its axis, both of which may be the result of the previously mentioned collision between Earth and Theia, our planet has a very strong magnetic field relative to its size. In fact, only Mercury, of all the other rocky planets, has a magnetic field, but it’s far weaker than our own. Venus doesn’t have one, even though we’re fairly certain it has a molten metal core. Scientists believe the reason behind this is because Venus has a slow rotation around its axis and the temperatures inside are more evenly distributed. Mars, on the other hand, did have a magnetic field once, but its metallic core has since cooled and solidified. In any case, our strong magnetic field protects us from the sun’s deadly solar radiation, it keeps our atmosphere from being blown away into space, and it gives us the beautiful aurora borealis around the poles. But over the past century and a half, scientists have come to realize that this magnetic field is weakening. As it turns out, the magnetic poles of our planet are shifting. This means that someday in the future, north will be south and vice-versa, and the process has already begun. While in the early 20th century the poles were moving at a rate of about 10 miles per year, today that speed has increased to 40. There’s no real need to panic, though, since this phenomenon has happened hundreds of times before. In fact, over the past 20 million years, the poles have shifted every 200 to 300 thousand years or so. The last time it happened, however, was more than 780,000 years ago, so, we’re due for another one. And according to the fossil record from previous pole reversals, it seems that there were no major changes in plant or animal life. What we would expect to see in this several-century-process would be an increased vulnerability to solar flares that could knock out entire power grids. Holes could be made in the ozone layer, exposing us and the environment to higher degrees of radiation. There would be more than two magnetic poles at a time, scattered all across the face of the planet, leading compasses to spin uncontrollably. Some animals could become disoriented, and we would see the northern lights in unusual places. The actual timeframe here is nowhere near to being exact. Scientists are still having a hard time understanding all the inner workings of our planet, but estimates say that this shouldn’t take more than 1,000 years or so. Probably even less. And before you say anything, it is important to note that from our planet’s perspective, a millennium is a literal geological instant. Over the many millions of years, Earth has become an expert at recycling. If given enough time, our planet has and will continue to reshape itself in a continuous cycle of renewal and rebirth. Every natural system on Earth is involved in this process in one degree or another, and the whole thing could take hours to explain properly. But because we know your time is valuable, we’ll keep it short. Let’s start with life. As time marches on, organisms grow, develop, and multiply, and then they eventually die. Their remains fall to the ground and become the very soil they once drew their nourishment from. Layer upon layer of this soil is produced, one on top of the other, slowly but surely turning into stone. This bottom layer of stone moves along with the tectonic plates they’re sitting on, eventually sliding underneath one another, or becoming a mountain if it ends up on top. If this rock layer turns into a mountain, as two plate tectonics bump into each other, over time, rain, wind, the many rivers, as well as other natural phenomena, grind away at that rock, eroding it and washing it out to sea where it sinks at the bottom and turns into sedimentary rock on the ocean floor. Once here, it again transforms into metamorphic rock due to very high heat and pressure, and eventually ends up in the upper mantle of the Earth in a process known as subduction. Here, this rock is turned into magma which eventually finds its way back to the surface via an oceanic ridge system, or through the many volcanoes that dot the Earth – and the cycle repeats itself. Now, this whole process has been overly simplified here, but this cycle the crustal rock goes through, not only recycles carbon across the globe, but it also provides the nutrients necessary for life to thrive in abundance. If it weren’t for this process, life’s chances on the planet would be severely compromised. There is a theory circulating out there that states the planet has been in a continuous process of expansion and contraction throughout its entire lifetime. Known as the Expanding Earth theory, it says that at some point in the past, Earth was 80% smaller than it is today, at which point the continents formed its entire surface. Then it began expanding, forming the ocean floor. While the theory does seem to have some intriguing concepts, it does have a lot of scientific inconsistencies and is extremely unlikely. What we are really talking about here, when we say the Earth is growing, is the fact that our planet takes in roughly 60 to 100 tons of cosmic dust every single day. This can’t really come as a surprise to anyone since this is the exact same process through which all other heavenly bodies in the universe have been created since the dawn of time, including Earth itself. But we don’t really think about it still happening, right? Well, even though it has toned down a bit since the early days of the solar system, the process is still pretty much alive. Even if space seems to be empty, it’s really littered with fine particles of dust, and these particles get swept up by our planet and, in a sense, become part of Earth. Only a small fraction of this material actually leaves a visible trail in the sky, since most of it is too tiny for that to happen. Now, even though scientists have been aware of this phenomenon happening for a while, only with the advent of more sophisticated technology did they come to comprehend its actual scale. Researchers are now looking at what effects these particles have on our environment. For starters, it was observed that these particles are incremental in the formation of the highest clouds in our atmosphere. It also acts as fertilizer for phytoplankton, and can even affect the ozone layer’s chemistry. But these effects can be just the tip of the iceberg, and scientists are trying to figure out cosmic dust’s many other implications. How can this be? We’ve just concluded that Earth takes in around 30,000 tons of space dust every year, so… how is this possible? It’s not like we’re throwing stuff into outer space – not that much, at least – and it’s not like we’re using any of the weight to build stuff, since that mass still adds to the overall load of the planet. Well, as it turns out, Earth is losing mass via two major ways. One is through its core, as it consumes energy in the form of heat. But this loss accounts for just 16 tons a year. The real mass loss comes in the form of hydrogen and helium. These two gases are the lightest in the universe and oftentimes they just simply float away from Earth. They do so at a rate of 95,000 tons of hydrogen and 1,600 tons of helium each year. So, even though we get roughly 30,000 tons of dust, we lose almost 97,000 tons of gas. Now, when it comes to hydrogen, there’s nothing to really be afraid of. Even at this current rate, it would take it trillions of years before all of it could be depleted from the atmosphere and by that time, the sun will have died out, and there will be no Earth to speak of. (Um, yay?) But helium is another matter. Even though it’s the second most abundant element in the universe, it’s disappearing here on Earth. We’re now using it for a great deal of things, on an unprecedented scale, and there’s only so much to go around.